Computer Graphics International is one of the oldest international annual conferences in Computer Graphics and one of the most important ones worldwide, founded by the Computer Graphics Society (CGS). It is a yearly meeting where academics present their latest algorithms, models and technologies, and explore new trends and ideas on various computer graphics topics. Since 1983 it has been held in numerous different cities worldwide including Geneva, Tokyo, Sydney, Boston, Singapore and many different countries in Europe, Asia, Australia and North & South America. CGI'17, the 34th annual conference will take place on June 27th – June 30th 2017 in Yokohama, Japan. 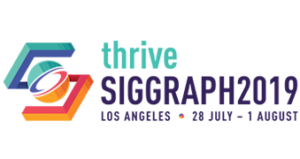 The conference is organized by the Computer Graphics Society (CGS) and hosted by Faculty of Science and Engineering, Keio University, in cooperation with ACM-SIGGRAPH and Eurographics.